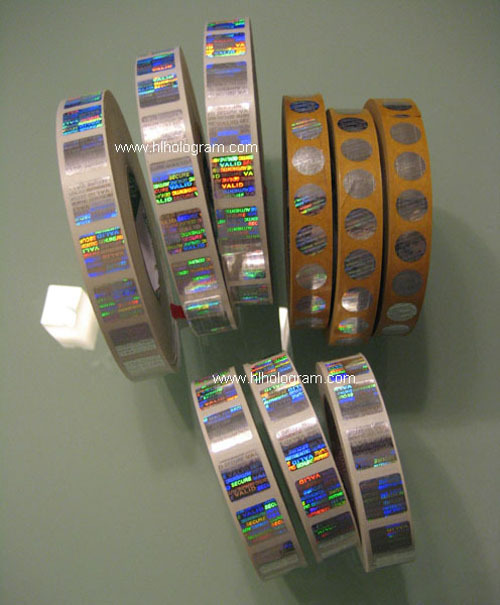 We Produce hologram sticker in roll format with any precise gap in spoon format. You can print barcode, serial number or image by your office use thermal printer, such as Zebra,Intermec,Tec,ARGOX,TSC,Symbol deshtop thermal printer. This roll sticker also can be applied manual or automatic by mamul label applicator or automatic labeling machine. 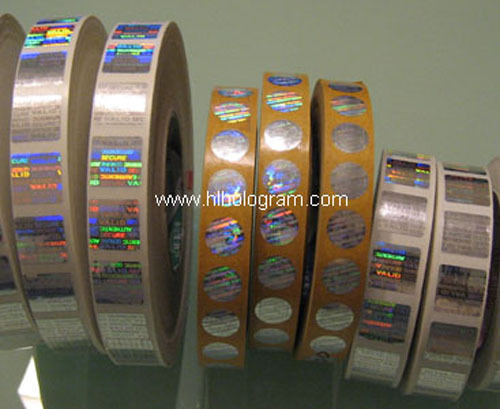 The hologram sticker reel can have 2mm,3mm,4mm,5mm,6mm gap precisely which is easy for client to print barcode, logo,name, serial number and 2-dimensional bar code onto security hologram. 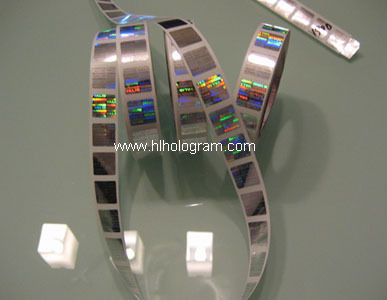 The hologram can have high security 2D/3D + Dot-matrix with hidden text, micron text, VOID tamper evident features, etc. 3D security holographic sticker in roll format. The gap of 3D security hologram sticker should be same. We can produce customed design hologram in different size and width with any precise gap. Then clients can do bar code printing and serial number onto it by thenselves. Hologram sticker in roll, wall paper design, with customized logo and serial number. Reel 3D security holographic sticker which is slitted for automatic euipment application. Wall paper design 3D security hologram sticker with 'AUTNENTIC, SECURE, ORIGINAL, VALID', 3mm gap precisely, good for carcode printing. Wall paper design 3D security hologram sticker with 'AUTNENTIC, ORIGINAL, VALID', 3mm gap precisely, good for carcode printing. Wall paper design 3D security hologram sticker. Register customized design hologram sticker. The hologram sticker unit is always in the center. Most deshtop thermal bar code pritner use 1 inch inner core sticker. Security holographic sticker in roll format. The gap of hologram sticker can be same. We can offer custom design hologram in different size and width. 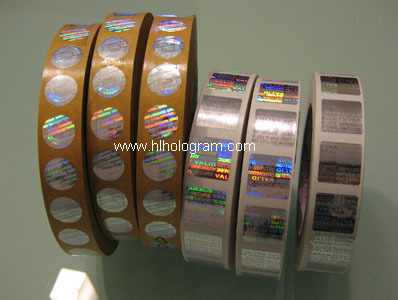 This customized design 3D security hologram sticker in reel, it's with gap 2mm. Customer can do barcode and serial number by deshtop pritner, such asZebra,Intermec,Tec,ARGOX,TSC,Symbol deshtop thermal printer. 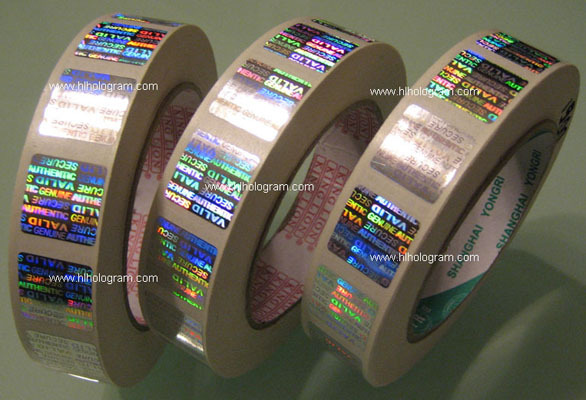 Stock design, 3D security hologram sticker in reel. Bar code and serial number is printed onto holographic label by small deshtop thermal barcode pritner. 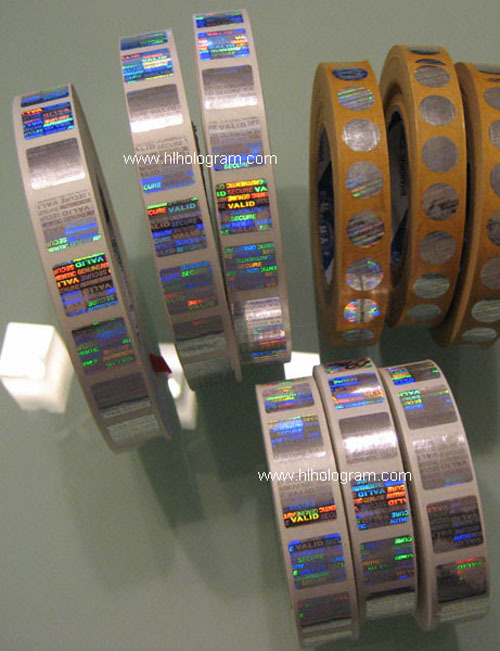 The 3D security hologram label reel has 1 inch inner core. 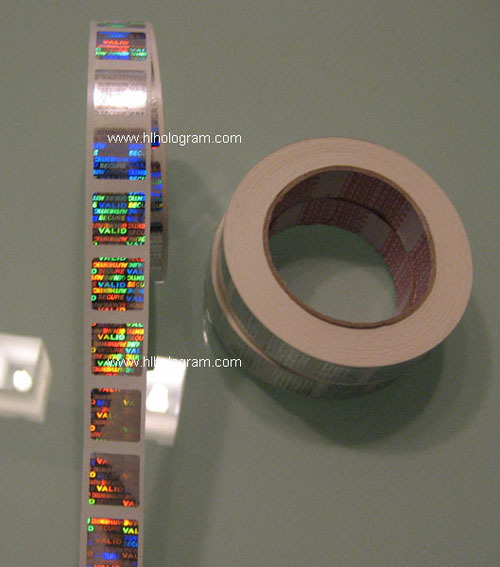 This reel 3D security holographic sticker has 1 inch inner core. Most deshtop thermal bar code pritner use 1 inch inner core sticker. 3 inch inner core holographic reel.